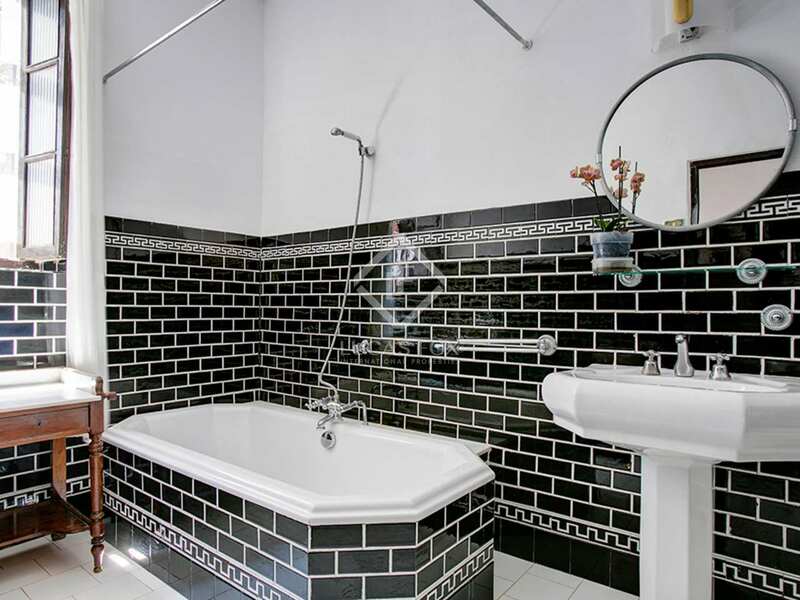 Exceptional neoclassical style property with stunning original features, bright & spacious rooms and a swimming pool. 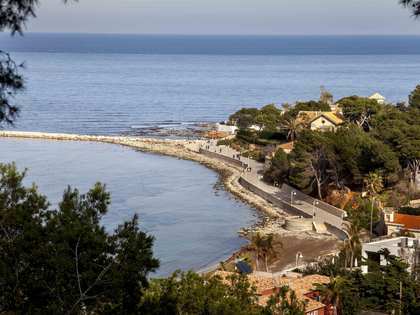 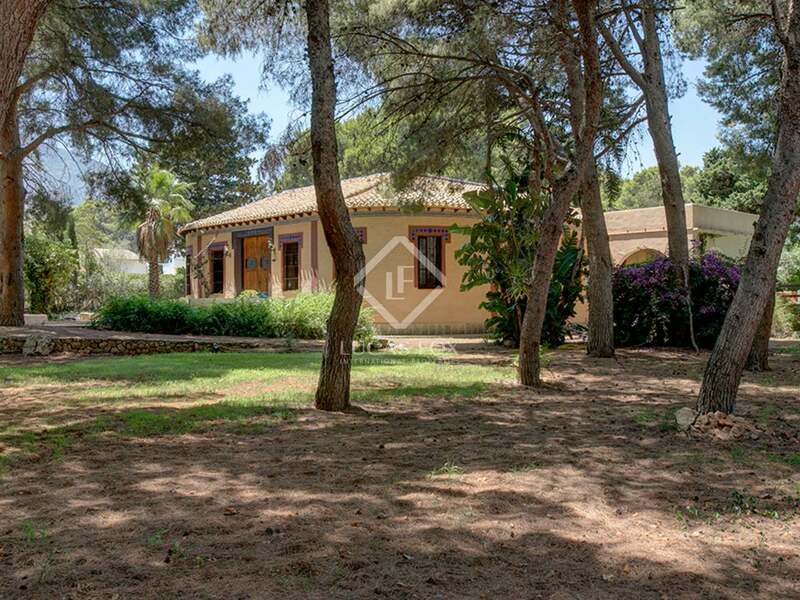 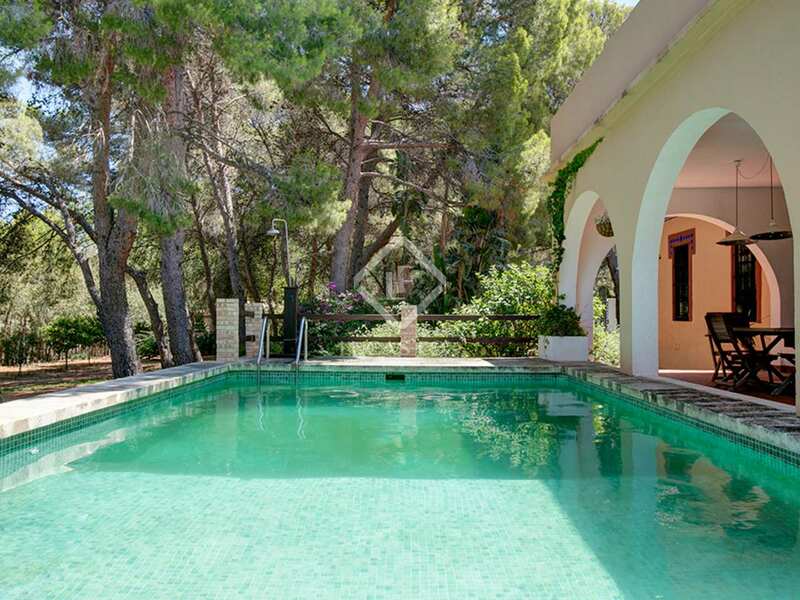 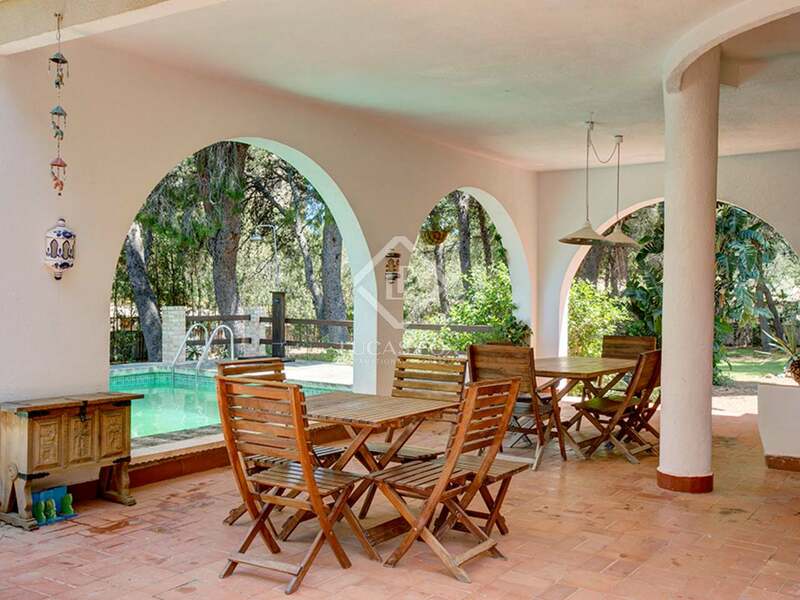 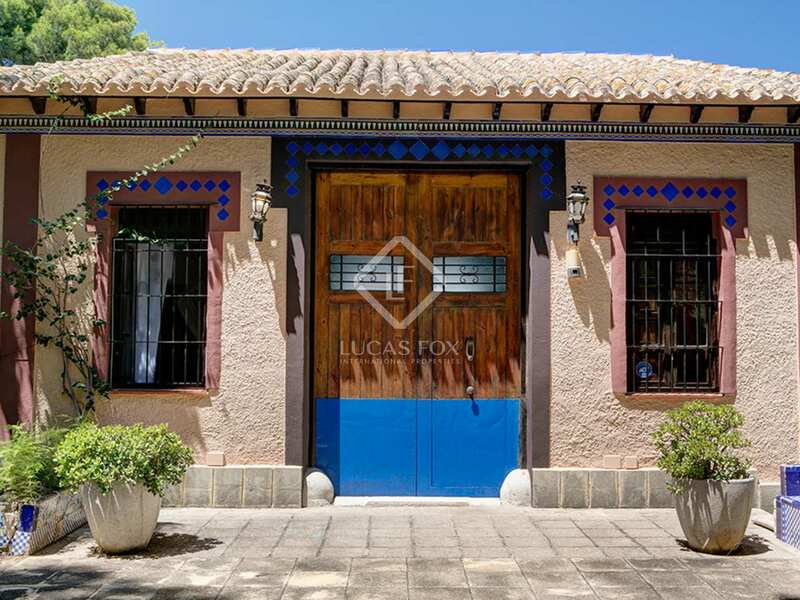 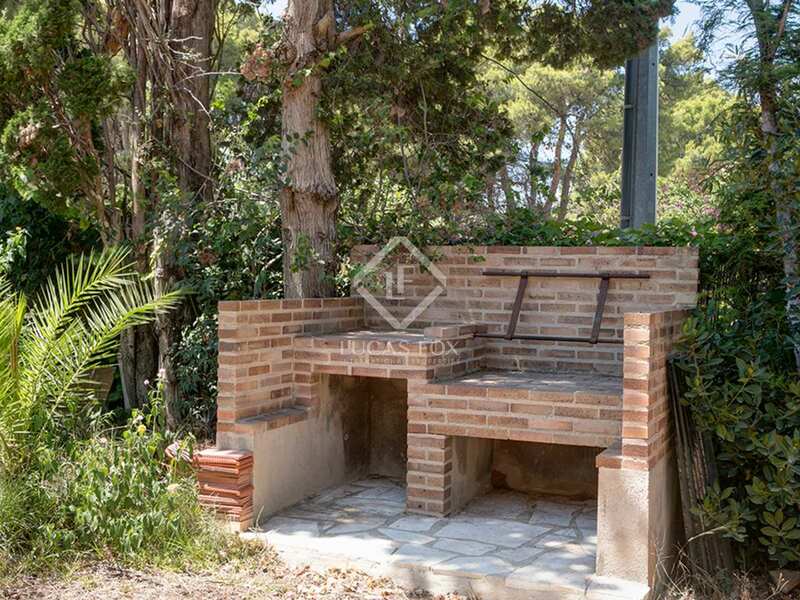 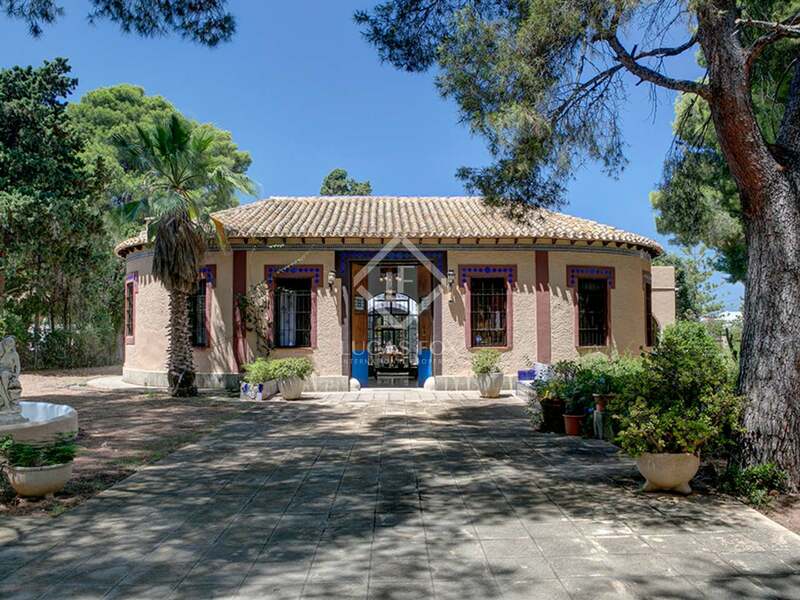 This historical property, set on a plot measuring 1,732 m² surrounded by pine trees, is in a very private setting, located just 100 metres from the sea in Las Rotas. 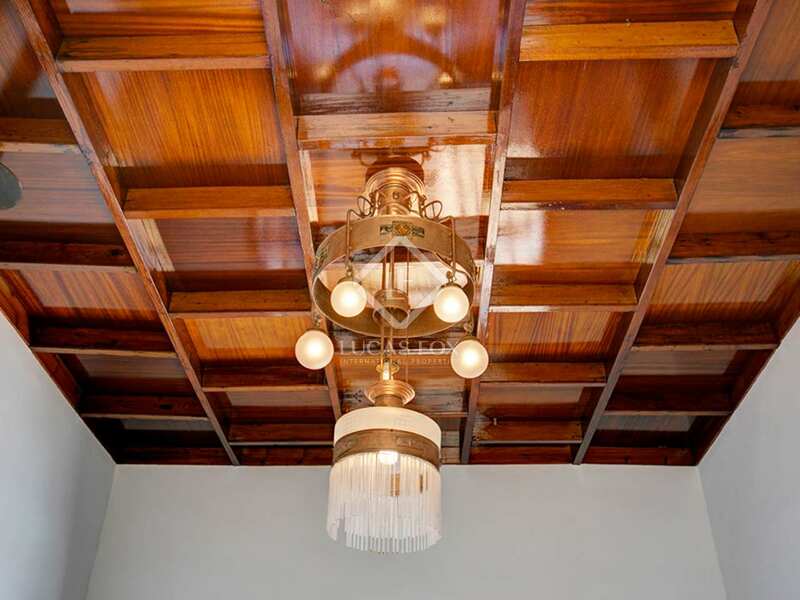 The property, which was considered very modern at the time it was built, stands out for its neoclassical architectural style from the beginning of the 19th century. 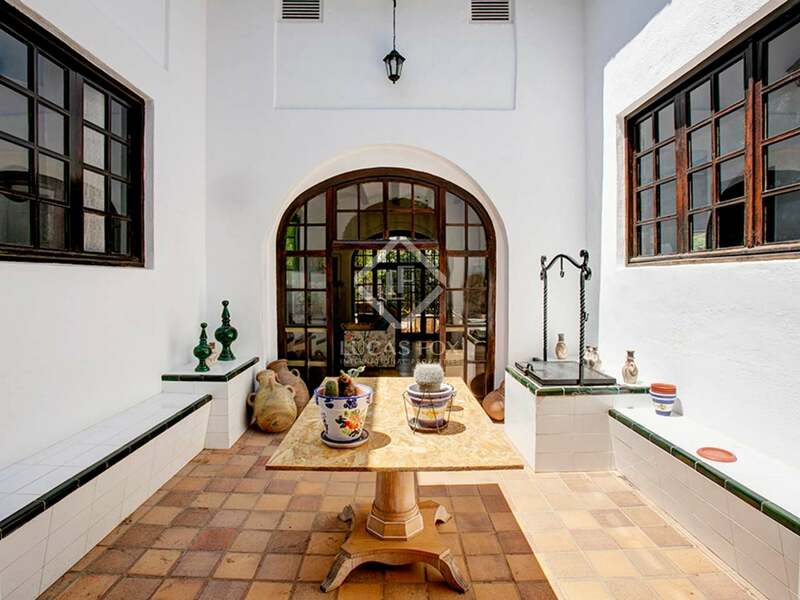 With thick walls, it remains cool during the summer. 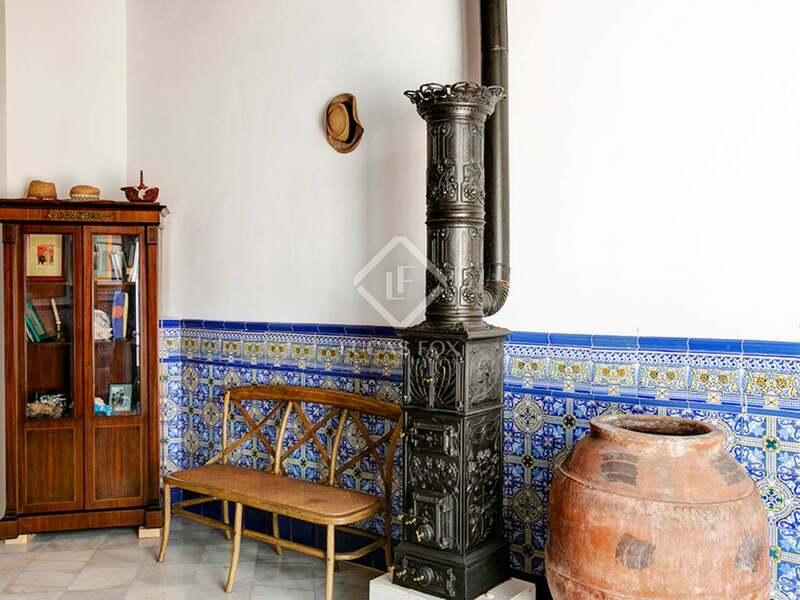 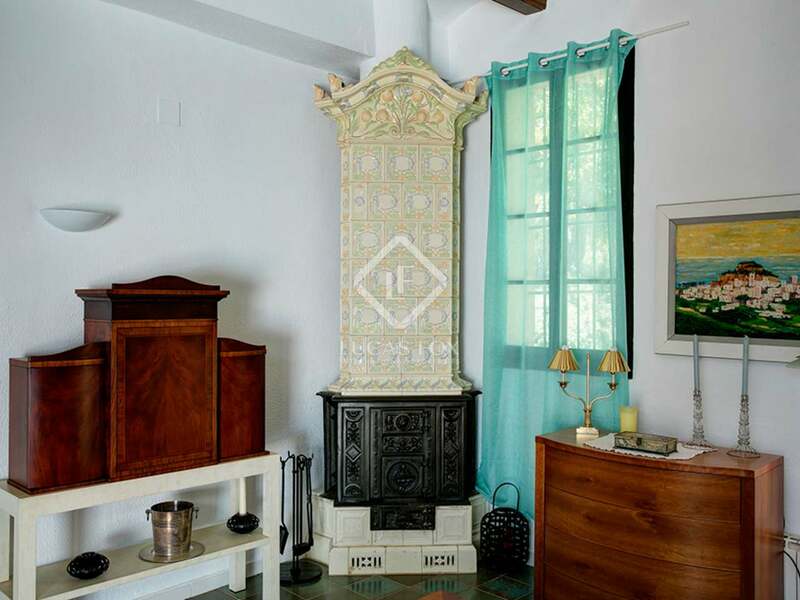 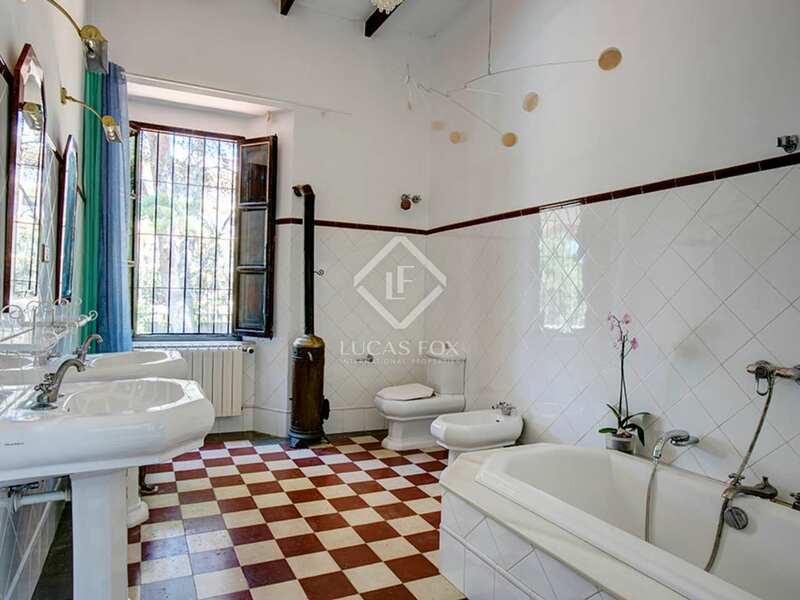 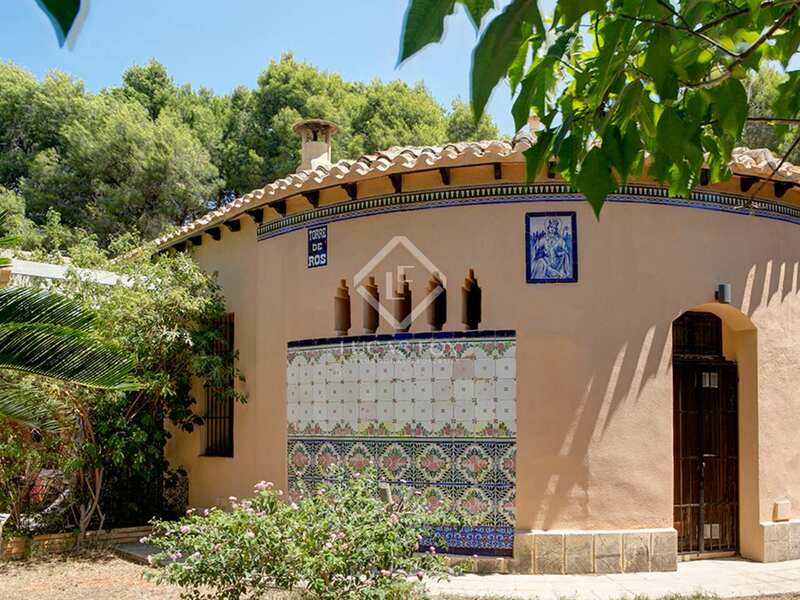 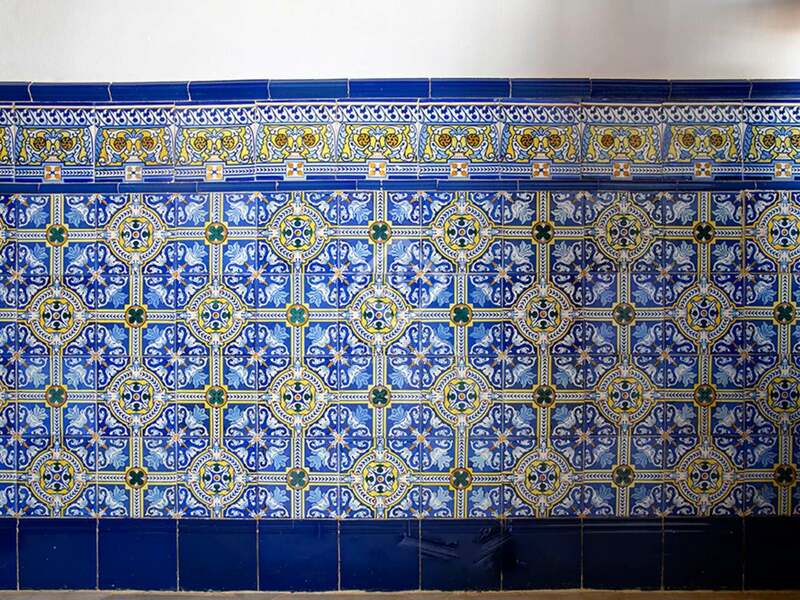 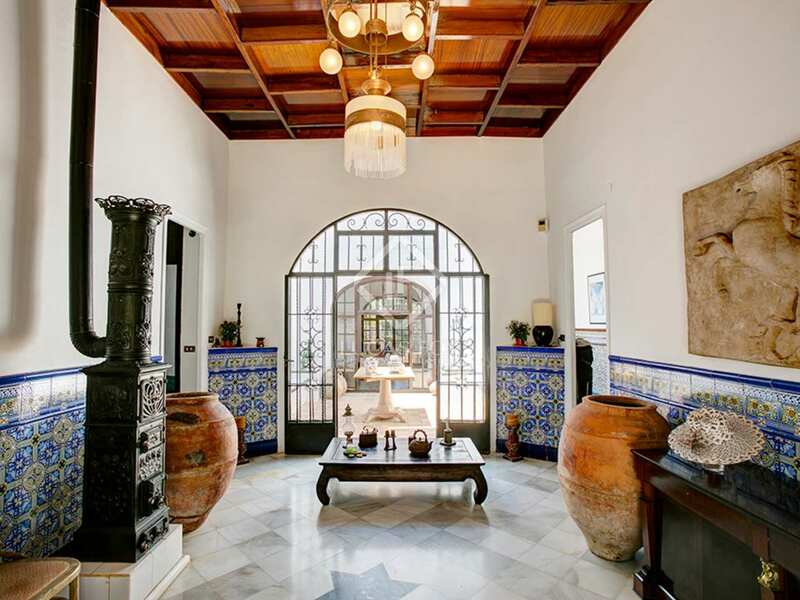 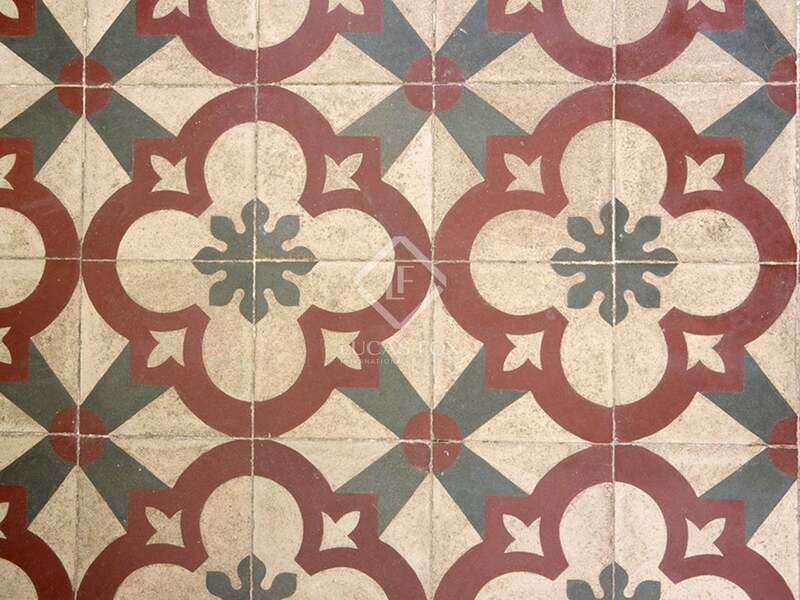 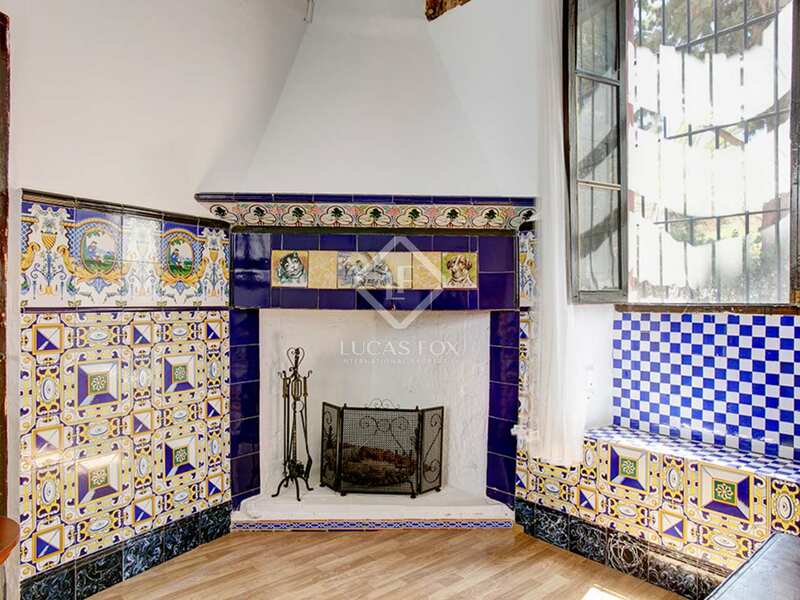 Furthermore, charming original elements such as wrought iron railings and colourful mosaic flooring, particularly impressive in the main bathroom, have been maintained. 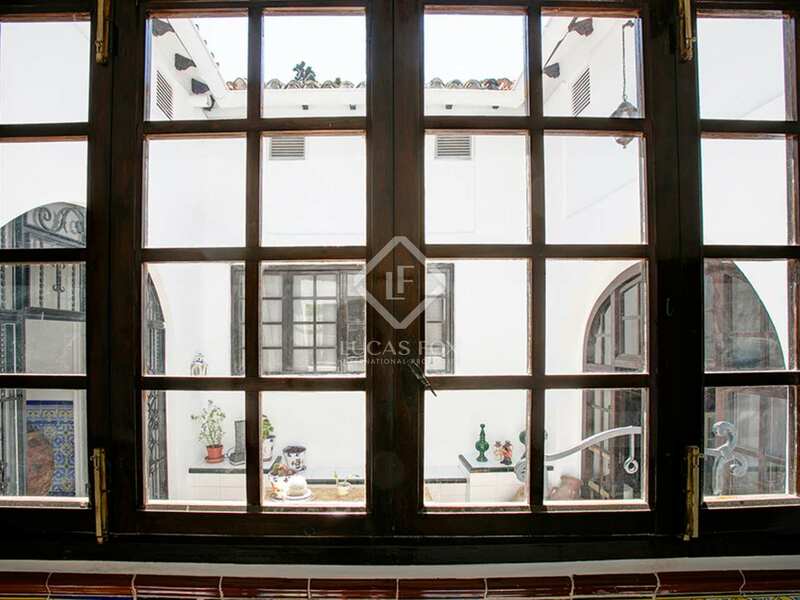 Valencian ceramics decorate the doors and windows on the façade whilst the interiors also boast unique ceramic details. 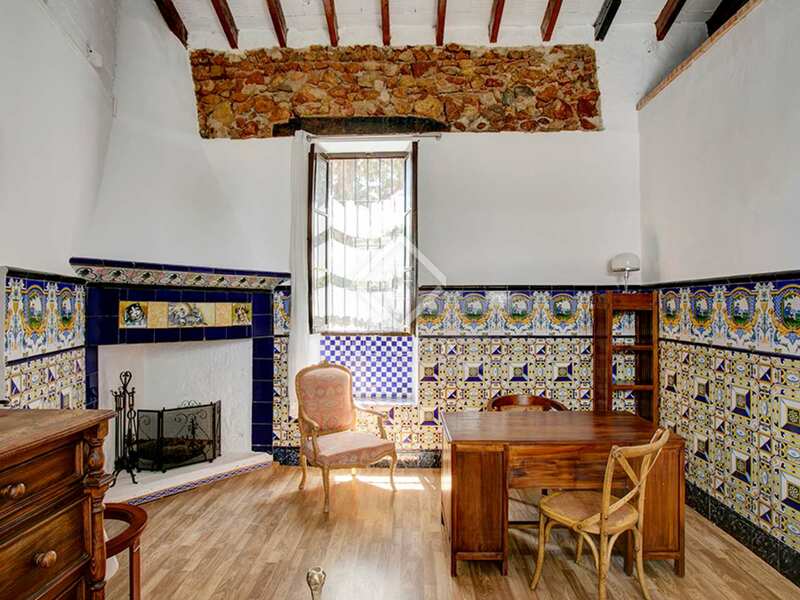 The rooms are distributed across one floor. 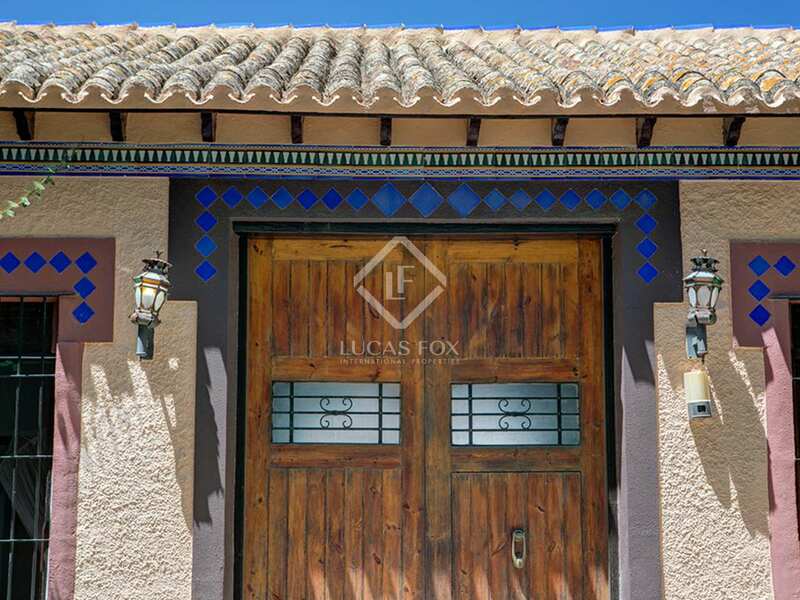 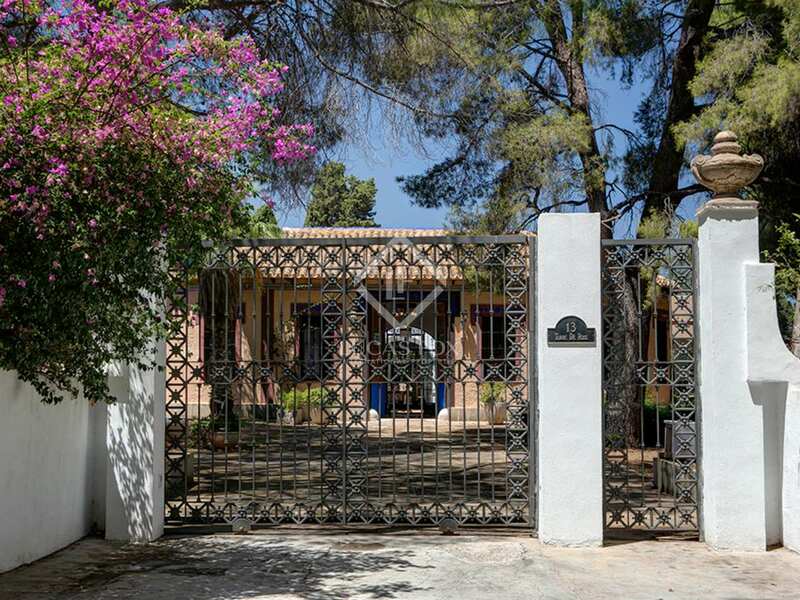 A wrought iron gate gives access to the property leading to a large central courtyard. 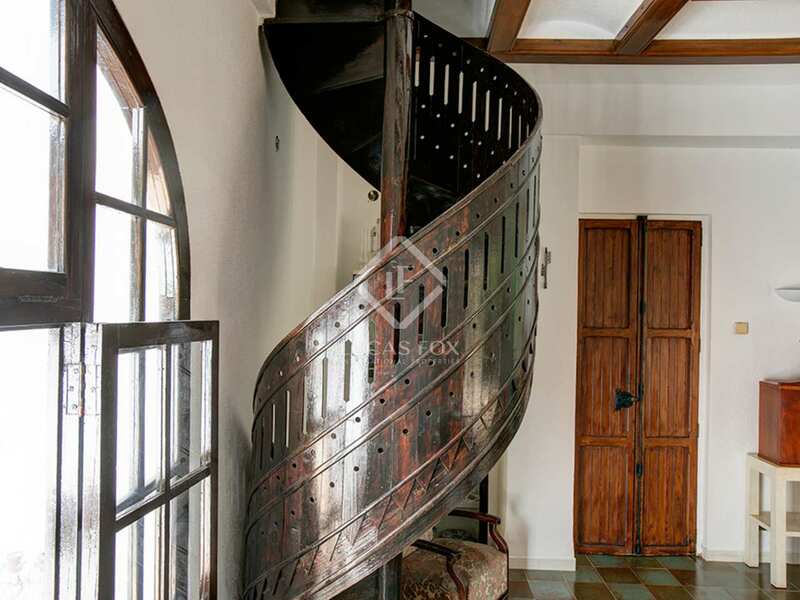 There was originally a tower, which is what gave the property its name. 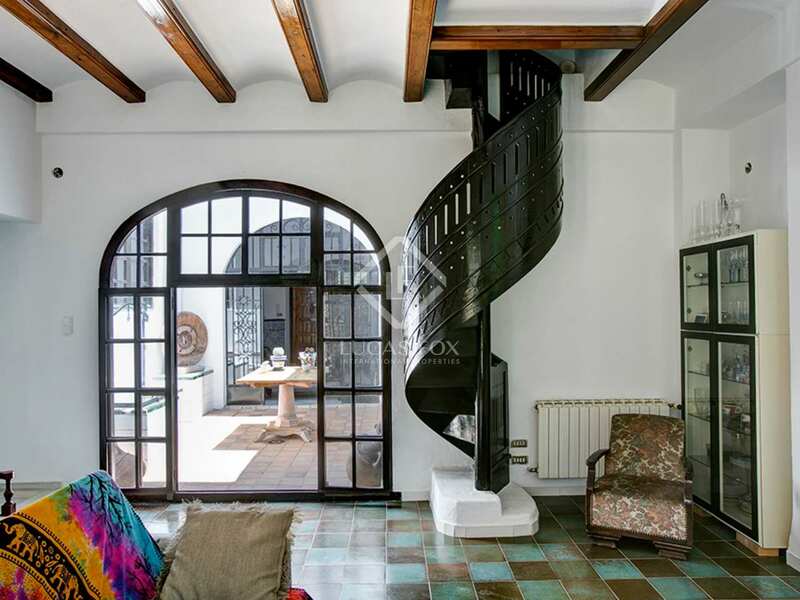 The living-dining area boasts a marble fireplace and a wooden spiral staircase, typical of the era. 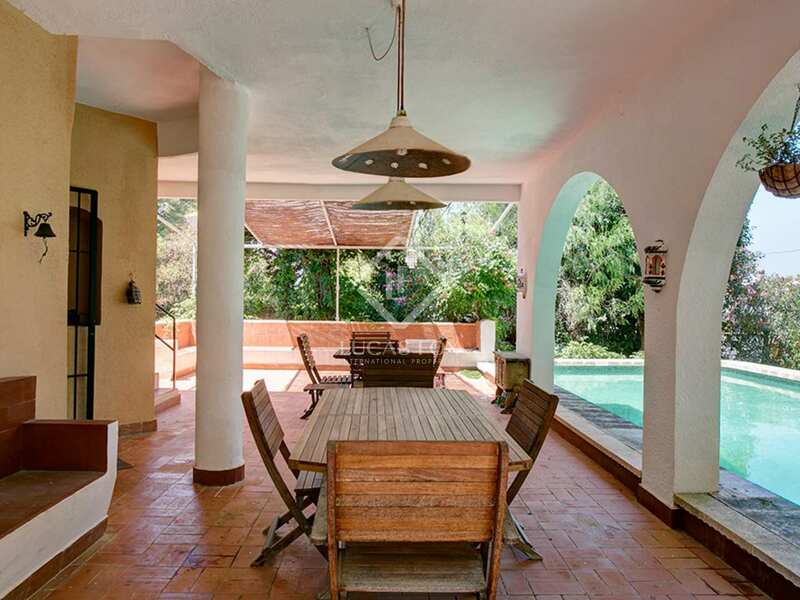 The separate kitchen has direct access to the porch, ideal for dining outdoors and relaxing, and the swimming pool. 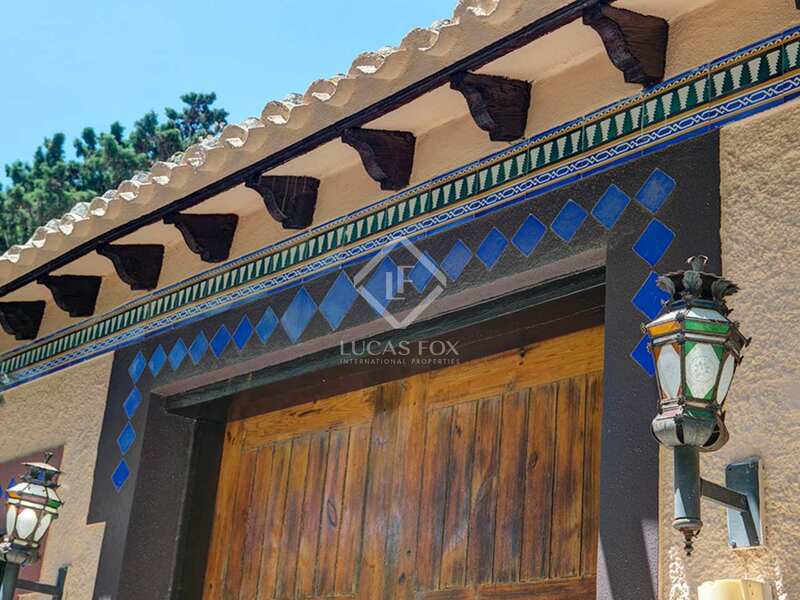 Four bedrooms, 2 bathrooms and 2 toilets complete the property. 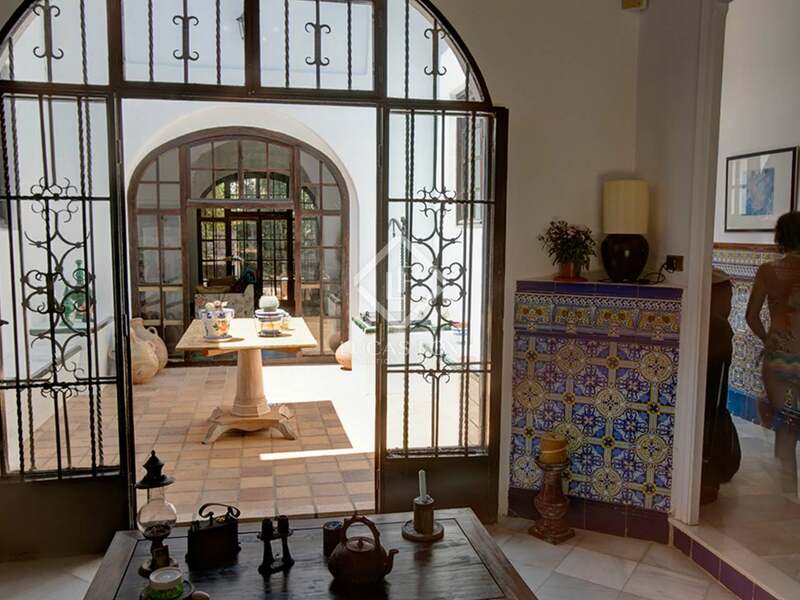 Each room is exterior facing, and, with high ceilings, the villa is both bright and spacious. 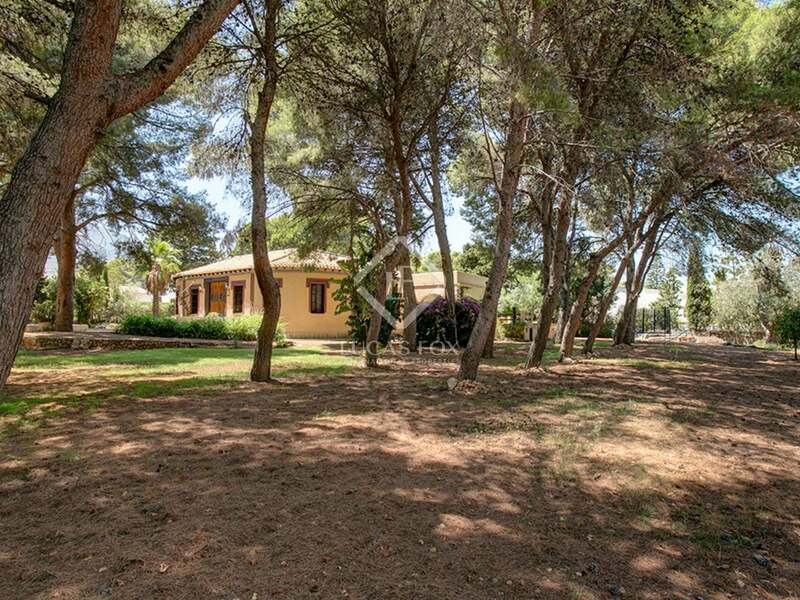 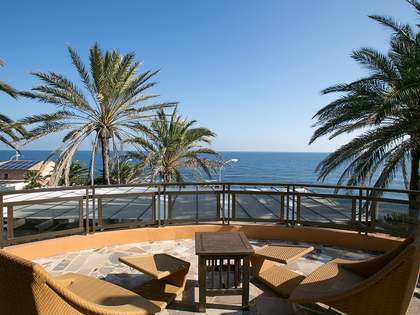 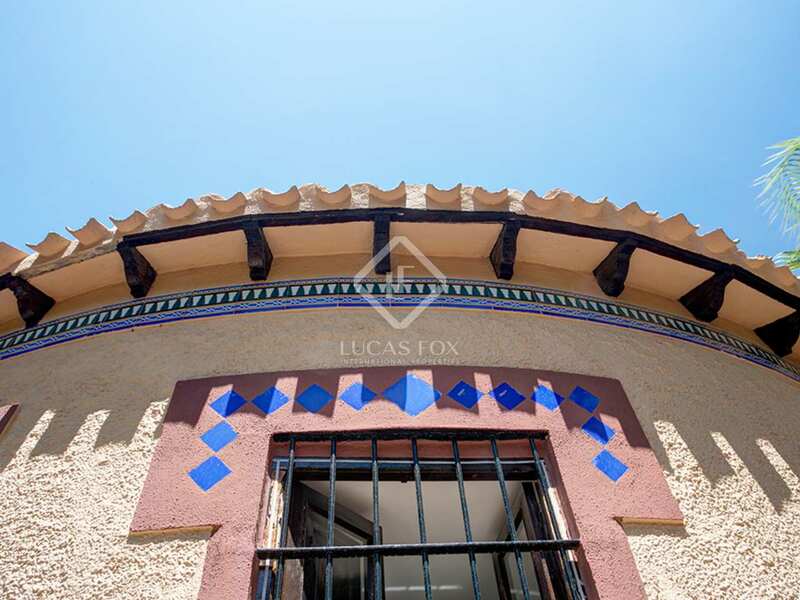 There is the option to purchase an adjoining plot of 950 m², the total price including this plot would be €1,485,000. 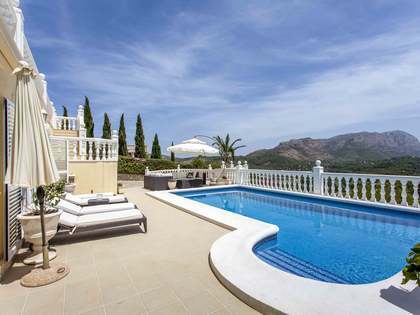 Contact us for more information about this magnificent property. 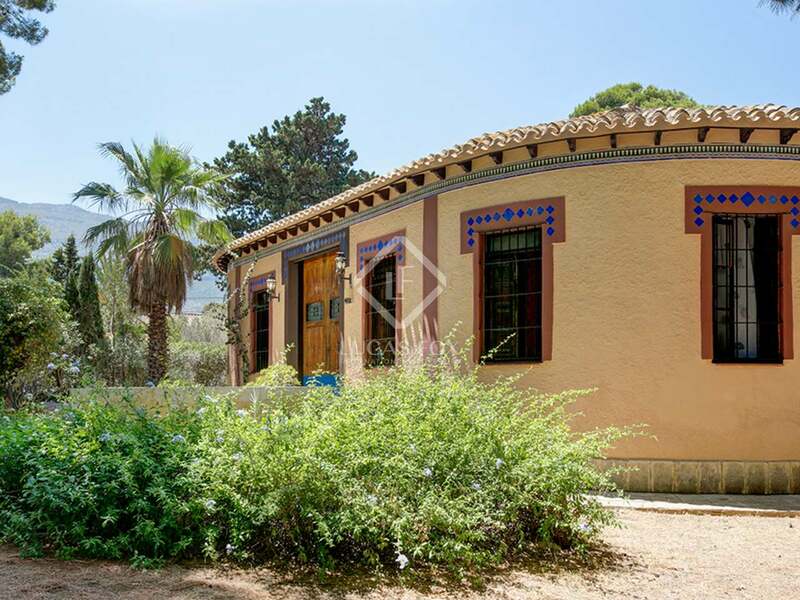 Villa in an exclusive area of Las Rotas, 100m from the sea, very close to restaurants and 20 minutes from the nautical club in Dénia.